Gitsegukla | British Columbia ROCKS! 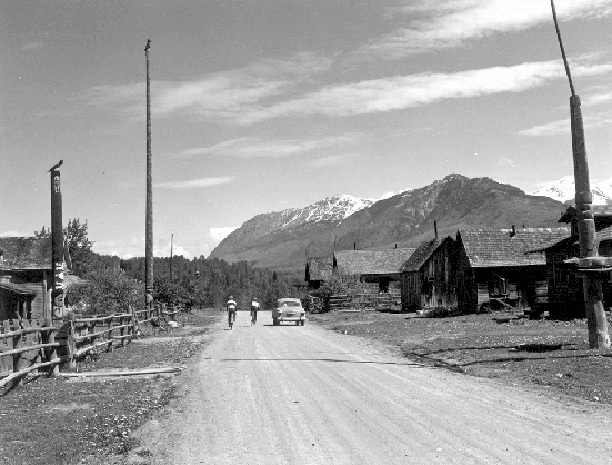 Gitsegukla is a Gitxsan Community situated along Highway 16 between Hazelton and Kitwanga (Gitwangax). With a population around 450 to 500 people and a history that had their ancestors move entire villages a number of times because of flooding from the Skeena River. Present day Gitsegukla is well above the river now so flooding is not usually an issue these days. Not far from the village, just over south of the confluence of the Gitsegukla River with the Skeena is an area called Skeena Crossing. Canadian National Railway have a bridge at this location and the passenger train from Prince Rupert to Jasper crosses here. That train is called ‘The Skeena’. 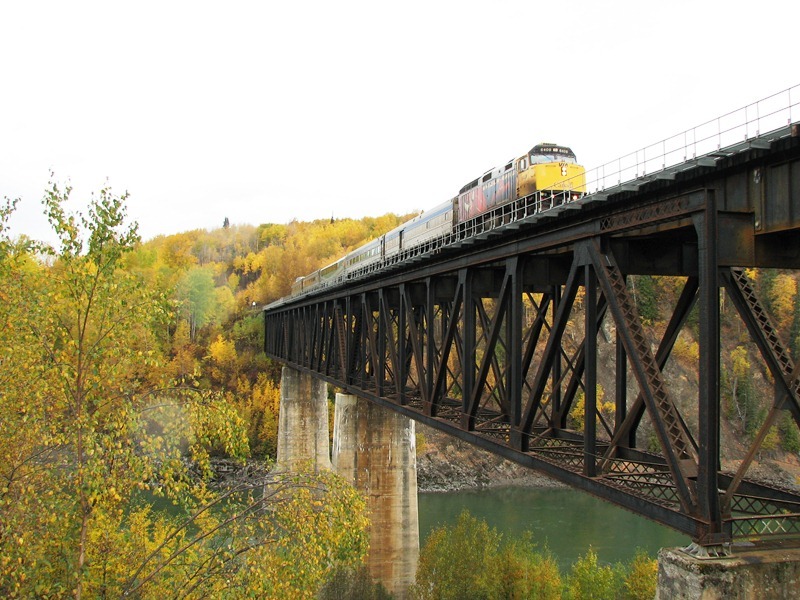 The photo below shows the VIA Rail passenger train called the Skeena, crossing the Skeena River at Skeena Crossing. The fall colors really blend nicely with the color of the train. This is a beautiful land and to really enjoy it one should travel Highway 16 in mid to late September. 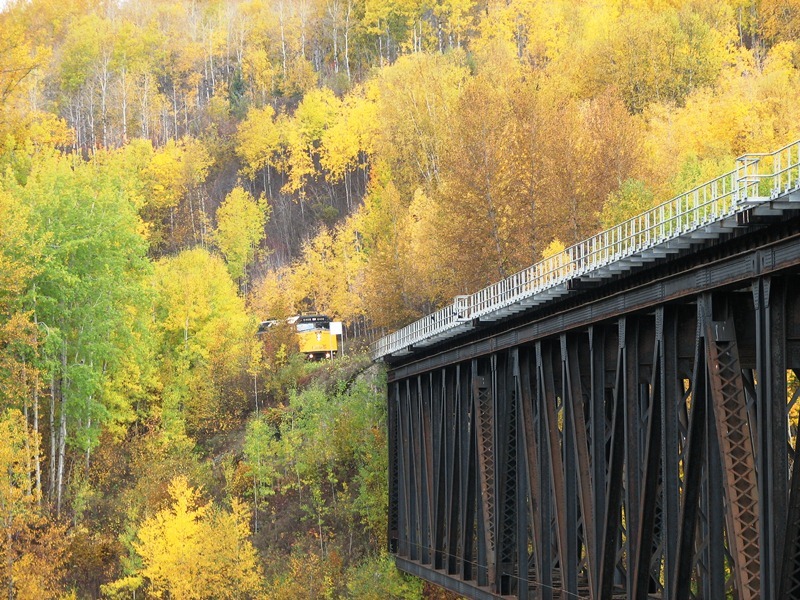 Fall colors as depicted above are evident in many areas as you follow the Skeena River past communities such as Gitsegukla. This entry was posted in British Columbia and tagged beautiful british columbia, british columbia, Canada, Canadian National Railway, flooding, highway 16, native village, Prince Rupert, Recreation, Skeena, skeena river, Sockeye salmon, trains. Bookmark the permalink.